Thanks for these thoughts on Palm Sunday and Easter. I love this season for reflection on all the truth surrounding our great salvation. I think we all believe we would not have turned on Jesus on that day, but who knows? Thank you for sharing these Easter thoughts with us! 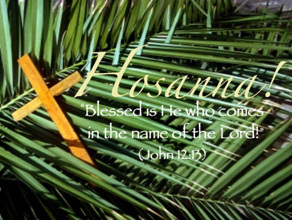 May you also be blessed as you reflect on this Palm Sunday! I hope you're having a blessed week, Charlotte! Thank you for hosting. I'm late to commenting this week, but I'm always blessed as I read what you've written and click through links on your posts.